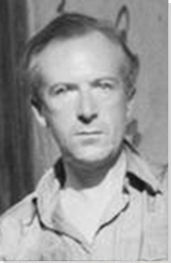 The below artworks are the most important by Cecil Beaton - that both overview the major creative periods, and highlight the greatest achievements by the artist. Artwork description & Analysis: Beaton had a penchant for the theatrical and this can be seen in this photograph of his sister Nancy who models her fancy dress costume for the Galaxy Ball at London's Park Lane Hotel. The dramatic backlighting focuses attention on her face and torso, whilst the sheer, jagged backdrop, alluding to the rocky surface of a star, merges with the skirt of her costume making her part of the star itself. The use of cellophane in the backdrop produces intricate patterns of reflection, allowing her to also embody the luminosity of a star. In his early portraits, Beaton often utilized this technique of wrapping his sitters in beautiful or interesting backdrops and this enabled Beaton to distance them from their real selves and immerse them completely in the photographic world that he had created. Here, Beaton's depiction of a character is so convincing that, without context, Nancy Beaton does not simply adopt a fantasy role, she actually becomes the fantasy character. Artwork description & Analysis: In 1934, Beaton was commissioned by Vogue to shoot an image of this hat by Suzy. Beaton fulfilled the request in his trademark style with an image that exudes playfulness. The hat box is positioned centrally within the photograph and out of it emerges a model's disembodied head wearing the hat. By including an incomplete portion of a woman's body Beaton references one of the tropes of the Surrealist Movement and, in doing so, makes his photograph visually distinct from the average fashion image. This differentiation is enhanced by the model's unusually sad expression. In the work, Beaton utilizes the documentary realism of the photographic medium to normalize the inclusion of the surreal elements, creating a new and convincing reality. In 2009, the image was chosen by Rankin, the British portrait and fashion photographer, as one of seven photographs that changed fashion photography. Rankin stated that Beaton helped "to set the template for fashion photography. Packaging a world of decadent beauty and above all selling a dream" and that he brought to this photograph "his typical wit and elegance so that what she is wearing is secondary to the beauty of the image." Artwork description & Analysis: Here, Beaton depicts Marlene Dietrich in a manner which was in direct contrast to the masculine clothing and androgynous style for which she was known. The delicate lace backdrop, flowers, and Dietrich's feather boa, can all be seen as sensual symbols of traditional femininity. Dietrich's exaggerated body language and the use of theatrical props, jewellery and clothing also make reference to her role as a performer. Mirrors and reflections were a reoccurring theme in Beaton's work and here he plays with the idea, placing Dietrich's face alongside that of a mannequin with a similar hairstyle and eyebrows. The comparison between the two highlights Dietrich's famously pale complexion as well as creating a sense of displacement in the viewer, as unlike a reflection, the two faces look in different directions. The overall combination of unusual set pieces along with the use of soft focus give a dreamlike effect to the image and this depiction, at once both real and fantastical, corresponds with Beaton's description of Dietrich in his memoir Persona Grata, "From the flat screen Dietrich stormed the senses, looking always tangible, and at the same time untouchable". The combination of beauty and Surrealism showcased in the work can be compared to some of the photographs produced by Man Ray, particularly those depicting Kiki de Montparnasse. Artwork description & Analysis: As a photojournalist for the Ministry of Information, Beaton covered many aspects of the Second World War. This photograph depicts the charmingly wide-eyed Eileen Dunne after she was injured during the Blitz. 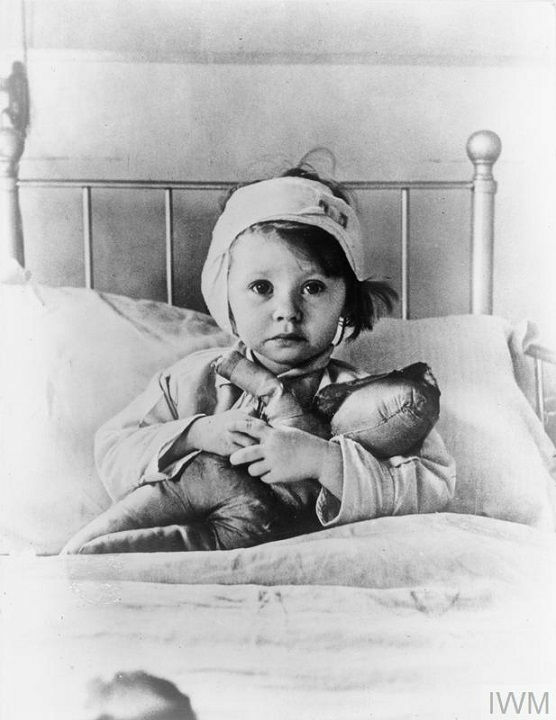 In his diaries, Beaton documented the moment he took the photograph, stating: "The small girl, with bomb terror in her eyes, was sitting in her bed in hospital, clinging to a rag doll which had survived with her. Her face, so baby-like, had suddenly grown old and pale; and as I approached her bed she looked at me in a trance of trustful misery". Beaton's composition places a strong focus on the young child's face as opposed to highlighting her injuries. In doing so, he forces the viewer to register the emotional status of the victim and consequently sympathize with her. Beaton's choice to capture the scene from the foot of the bed creates a foreshortening effect so that the bed surrounds the girl, threatening to overwhelm her with its size. This contrast in proportion reminds the observer that this victim is a small child as well as hinting at her fragility and innocence. The photograph was published on the front cover of American LIFE Magazine and its wide distribution and the emotional impact of the image helped to gain American support for the British during the war. 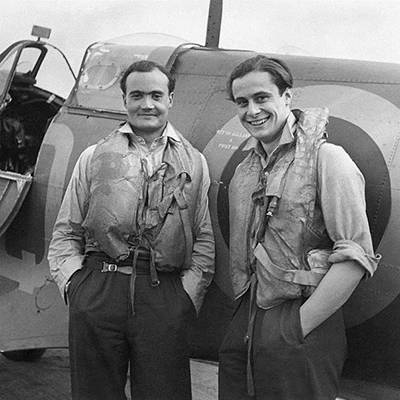 Artwork description & Analysis: This image of two fighter pilots posing in front of their plane stands out against many other documentary photographs of the period, in that it shows a fleeting moment of normality amongst the horrors of the Second World War. The close framing of the image connects the viewer directly with the men and their relaxed poses and cheerful smiles reinforce their humanity. Beaton often avoided documenting the gory aspect of the war and in this photograph he displays a sense of hope as well as reinforcing the idea of the British stiff upper lip; despite their dangerous and difficult job fighting for their country these young men have remained happy and positive. Images such as this were printed in newspapers and magazines and helped to maintain morale amongst the general public. This particular image also played a role in recruiting men into the Royal Air Force by glamourizing the pilots and placing an emphasis on their friendliness and comradery. Artwork description & Analysis: During the Second World War, London was the victim of significant and prolonged bombing, known as the Blitz. This photograph shows the aftermath of a raid and depicts St Paul's Cathedral framed by the remains of a destroyed shop frontage. In his diaries, Beaton discussed the moment that he took the photograph: "It was necessary to squat to get the archway framing the picture. I squatted. A press photographer watched me and, when I gave him a surly look, slunk away. When I returned from photographing another church, he was back squatting and clicking in the same spot I had been. Returning from lunch with my publisher, my morning's pictures still undeveloped in my overcoat pocket, I found the press photographer's picture was already on the front page of the Evening News." Beaton has taken his typically theatrical approach to this composition and the result feels more like a film set than real life. 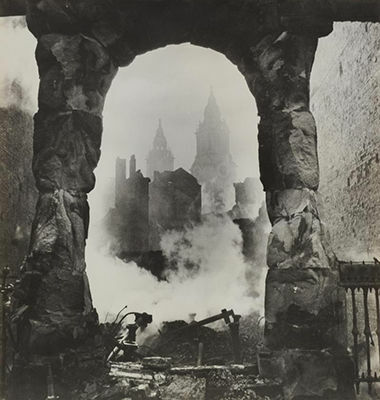 The arch of the shop frontage draws the eye inward to the center of the image in which St Paul's Cathedral stands tall and triumphant amidst the billowing smoke, undamaged by the raid. In presenting St Paul's in this manner, the iconic building becomes a symbol of resistance and a reminder that hope and faith can triumph over adversity. The work consequently takes on a role of visual propaganda, aligning itself with the idea that the British people should carry on living their lives as normally as possible during the conflict. Artwork description & Analysis: As Monroe was typically portrayed in a cinematic and glamorous fashion, in this image Beaton sought to reveal a more human side to her. Photographed in a suite at the Ambassador Hotel, New York, Beaton described the shoot: "She romps, she squeals with delight, she leaps on the sofa. She puts a flower stem in her mouth, puffing on a daisy as though it were a cigarette. It is an artless impromptu, high-spirited, infectiously gay performance. It will probably end in tears". The flowers in the background and the loosely clasped carnation in her hand reinforce Monroe's femininity and the fabric of her white dress mirrors the bed sheets around her. Instead of the trademark smile and sultry poses of many of Monroe's images, here, Beaton presents her on a bed, her shoulders exposed, she gazes at the camera with wide-eyes and parted lips. Both her expression and her attire convey a sense of vulnerability and this is juxtaposed with her perfectly curled hair and precisely applied makeup. The contrast of the two reinforces her separate personas, behind the visual façade and superficiality of Marilyn Monroe, Beaton also manages to capture the fragility of Norma Jean. Artwork description & Analysis: One of the most iconic models of the 1960s, Twiggy is pictured in Beaton's own house, 8 Pelham Place, London. She stands on top of a plinth, clad in a fashionable orange mini dress designed by John Bates. The color of the dress contrasts with the wall behind and its textured and luxurious appearance is enhanced by the gold highlights on the doors and frames to either side of her. The strong vertical lines of the doorways also mirror and amplify Twiggy's slim form. Beaton has captured the image from below the level of the plinth, meaning the viewer looks up at her, emphasizing her significance within the photograph whilst playing with the idea of size and scale. Her positioning also serves as a literal embodiment of the metaphor to 'put on a pedestal', plinths are traditionally used for the display and appreciation of art, and by placing Twiggy on top of it, this draws parallels between her beauty and that of art. Artwork description & Analysis: Beaton took his first photograph of the Queen when she was only 16, and over the years he frequently photographed her and other royals, establishing a collective vision of their lives as a normal family. This helped to rehabilitate the monarchy in the aftermath of the abdication scandal in 1936, making them seem increasingly accessible to the public. Partially inspired by Pietro Angiono's painting of the Queen in 1954, in this image, Beaton depicts her against a plain blue backdrop, wearing a dark Admiral's boat cloak. The backdrop injects contemporaneity into the photograph, and through its simplicity, it draws the eye to the Queen. Her stance and cloak create an image of strength and power and this is contrasted with her thoughtful expressions as she gazes into the distance. Beaton eliminates the regalia of most royal portraits and this lack of ceremonial trappings within the photograph presents the Queen as human, connecting her with her viewer.